Belkasoft Evidence Center makes it easy for an investigator to acquire, search, analyze, store and share digital evidence found inside computer and mobile devices. The toolkit will quickly extract digital evidence from multiple sources by analyzing hard drives, drive images, cloud, memory dumps, iOS, Blackberry and Android backups, UFED, JTAG and chip-off dumps. Evidence Center will automatically analyze the data source and lay out the most forensically important artifacts for investigator to review, examine more closely or add to report. Mobile and Computer device examination. 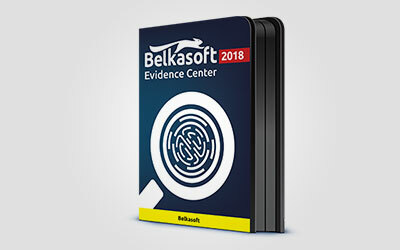 Supporting all major desktop and mobile operating systems, Belkasoft Evidence Center is suitable for mobile and computer forensics. It can parse real and logical drives and drive images, virtual machines, mobile device backups, UFED images, JTAG and chip-off dumps. Smart and Comprehensive Analysis. The product looks everywhere on the device completely automatically and can successfully identify over 700 types of digital artifacts. Convenient Evidence Search feature helps to narrow down the findings using filters, pre-defined search, or other options. Powerful Carving. Data carving allows to locate evidence that was deleted, destroyed, or never stored on the hard drive at all (page file, hibernation file, RAM contents). Besides, advanced carving mode called BelkaCarving™ is available, making it possible to reconstruct fragmented chunks into contiguous pieces of information that would otherwise not be accessible at all. Native SQLite Parsing. Recovers corrupted and incomplete SQLite databases, restores deleted records and cleared history files. Processes freelists, write-ahead logs and journal files, and SQLite unallocated space. Live RAM Analysis. Evidence Center can extract potentially crucial information from volatile memory, such as: in-private browsing and cleared browser histories, online chats and social networks, cloud service usage history, and much more. Belkasoft Live RAM Capturer is a powerful tool for creating memory dumps, and it is complimentary. Handy Built-in Tools. PList, Registry, and SQLite viewers allow you to work more thoroughly with particular types of data and find even more evidence than automatic search was able to discover. Low-level Investigations. Equipped with File System Explorer, Hex Viewer, and Type Converter, Belkasoft Evidence Center will allow you to perform deep examination of the contents of files and folders on the device.